Our goal is to provide our customers with excellent service and products while staying competitive. 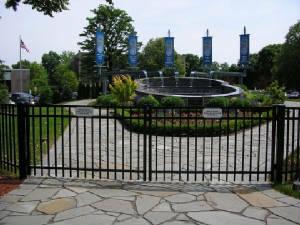 We appreciate the opportunity to bid on your fencing project and promise to make your experience a pleasant one. We have built a reputation and intend to keep it. -Limited Lifetime warranty on PVC and aluminum. -5 years warranty on labor (chain link). -2 years warranty on labor (all other styles). Top quality materials (heavy gauge vinyl, # 1 Cedar / Spruce). In the fencing business we are No. 1 in customer satisfaction. Free estimates, fully insured, VISA/MC accepted. Every job supervised by owner. Member of the New Jersey Bussines and Industry Association.